The Studio also produces the Daytime Emmy Award-winning talk show THE TALK, as well as the Emmy Award-nominated late night series THE LATE SHOW with STEPHEN COLBERT and THE LATE LATE SHOW with JAMES CORDEN. For CBS All Access, the Studio produces THE GOOD FIGHT; STRANGE ANGEL; the streaming service’s first comedy series, NO ACTIVITY; WHY WOMEN KILL; INTERROGATION as well as the upcoming highly anticipated revival of THE TWILIGHT ZONE. Additionally, as part of the expansion of the Star Trek universe, the Studio produces the Untitled Star Trek series featuring Sir Patrick Stewart reprising the role of Captain Jean-Luc Picard, Star Trek: Short Treks as well as the recently announced Star Trek: Lower Decks, which marks CBS All Access’s foray into the animation landscape. The Studio’s programming also includes series based on popular, viral segments from THE LATE LATE SHOW with JAMES CORDEN, “Carpool Karaoke” for Apple Music and “Drop the Mic” for TBS, as well as “Insatiable,” “Unbelievable” and “Dead to Me” for Netflix. Additionally, the Studio produces the comedy anthology series “The Guest Book” for TBS; OUR CARTOON PRESIDENT and YOUR HONOR for SHOWTIME as well as “A Higher Loyalty,” a miniseries based on former FBI Director James Comey’s memoir. 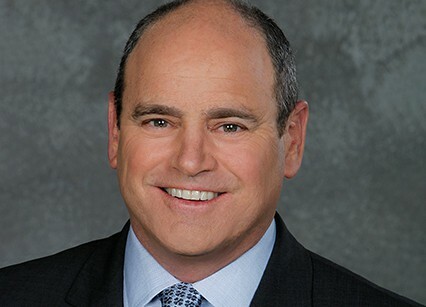 Prior to his current position, Stapf was Senior Vice President, Current Programming, CBS Entertainment, a position he held since July 1999, overseeing primetime series activities for CBS’s top-rated roster of entertainment programming. In that role, he was the executive who shepherded the shows that helped make CBS the number one network. He worked with each program’s producers to maintain the quality and direction of established comedies and dramas, such as “Everybody Loves Raymond,” “The King of Queens” and “Judging Amy,” as well as playing a key role in establishing newer hits including “CSI: Crime Scene Investigation,” “CSI: Miami,” “Without a Trace” and “Two and a Half Men,” shows that helped transform the Network. Other acclaimed campaigns he helped engineer include efforts on behalf of “Dallas,” “Family Matters,” “Full House,” “Murphy Brown,” “Lois & Clark: The New Adventures of Superman,” “Sisters” and “I’ll Fly Away,” among others.